MAIN ACTIVITIES Visualization, speaking, gap fill, vocabulary acquisition, prediction. Tell students that they are going to listen to something with their eyes closed. After listening, they tell a partner about the images they visualized. Who did they see? Where? What were they doing? Why? etc. Play from 00:25 to 01:02 (sound only). Students tell each other what they visualized in as much detail as possible. Ask a couple of students to tell the rest of the class what they talked about. Did most people have similar ideas? Tell students that they are going to read a description of the fight. Display or give them a copy of the script. They read it quickly and say which word which is out of place. Now they work together to replace the word banana** with another word (a different one for each banana). 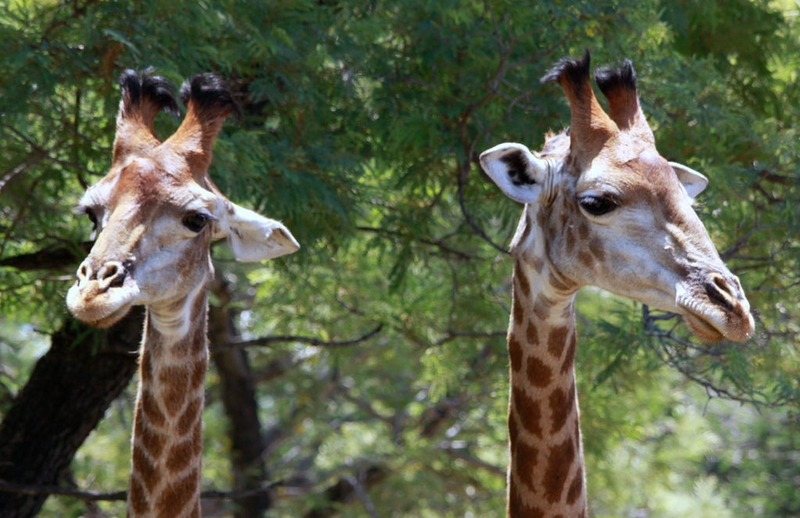 Students vote on which giraffe will win – the old bull or the young rival. Play the clip until 04:35 and ask how the the old giraffe won (He ducked and aimed a blow at his rival’s underbelly). Tell students that the young giraffe didn’t die; he was just knocked out. Say that the clip comes from the first episode of the BBC series Africa, and encourage those who like nature programmes to look for more David Attenborough documentaries and watch them in English. If you have a class wiki, students can look for nature clips on YouTube, upload them and comment on each other’s choices. ** The banana idea comes from this post about different ways to do a gap fill / cloze on David Petrie’s blog. This is a beautifully planned activity – wonderful topic, wonderful video, wonderful tasks. All engaging and refreshing, I enjoyed watching it and reading the tasks as if I had been in a real classroom. Many thanks. Thanks for your lovely comment, Eldin! We knew we had to do something with the video as soon as we came across it and had fun coming up with activities to go with it. This is a great lesson. I wud like to do it for my students. Keep it up….. Thank you – hope your students enjoy it!